100 Air-Tite "H" Black Ring Coin Holders for 30mm Coins HALF DOLLARS $65.99! 250 Air-Tite "H" Black Ring Coin Holders for 30mm Coins HALF DOLLARS $149.99! 100 Air-Tite "I" Black Ring Coin Holders for 40mm Coins SILVER EAGLES $69.49! 250 Air-Tite "I" Black Ring Coin Holders for 40mm Coins SILVER EAGLES $157.99! 100 Air-Tite "T" Black Ring Coin Holders for 21mm Coins NICKLES $62.99! 250 Air-Tite "T" Black Ring Coin Holders for 21mm Coins NICKELS $142.99! 100 Air-Tite "A" Black Ring Coin Holders for 14mm Coins $59.95! 250 Air-Tite "A" Black Ring Coin Holders for 14mm Coins $135.99! 100 Air-Tite "A" Black Ring Coin Holders for 19mm Coins CENTS $59.95! 250 Air-Tite "A" Black Ring Coin Holders for 19mm Coins CENTS $135.99! 100 Air-Tite "I" Black Ring Coin Holders for 33mm Coins $69.49! 250 Air-Tite "I" Black Ring Coin Holders for 33mm Coins $157.99! 100 Air-Tite "T" Black Ring Coin Holders for 24mm Coins QUARTERS $62.99! 250 Air-Tite "T" Black Ring Coin Holders for 24mm Coins QUARTERS $142.99! 100 Air-Tite "T" Black Ring Coin Holders for 20mm Coins $62.99! 250 Air-Tite "T" Black Ring Coin Holders for 20mm Coins $142.99! 100 Air-Tite "I" Black Ring Coin Holders for 37mm Coins $69.49! 250 Air-Tite "I" Black Ring Coin Holders for 37mm Coins $157.99! 100 Air-Tite "I" Black Ring Coin Holders for 38mm Coins LARGE DOLLARS $69.49! 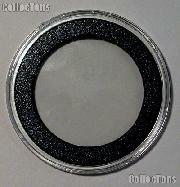 250 Air-Tite "I" Black Ring Coin Holders for 38mm Coins LARGE DOLLARS $157.99! 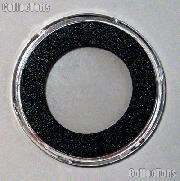 100 Air-Tite "A" Black Ring Coin Holders for 18mm Coins DIMES $59.95! 250 Air-Tite "A" Black Ring Coin Holders for 18mm Coins DIMES $135.99! 100 Air-Tite "T" Black Ring Coin Holders for 25mm Coins $62.99! 250 Air-Tite "T" Black Ring Coin Holders for 25mm Coins $142.99! 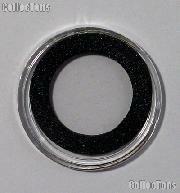 100 Air-Tite "A" Black Ring Coin Holders for 16mm Coins $59.95! 250 Air-Tite "A" Black Ring Coin Holders for 16mm Coins $135.99! 100 Air-Tite "H" Black Ring Coin Holders for 32mm Coins $65.99! 250 Air-Tite "H" Black Ring Coin Holders for 32mm Coins $149.99! 100 Air-Tite "T" Black Ring Coin Holders for 23mm Coins $62.99! 250 Air-Tite "T" Black Ring Coin Holders for 23mm Coins $142.99! 100 Air-Tite "I" Black Ring Coin Holders for 35mm Coins $69.49! 250 Air-Tite "I" Black Ring Coin Holders for 35mm Coins $157.99! 100 Air-Tite "A" Black Ring Coin Holders for 17mm Coins $59.95! 250 Air-Tite "A" Black Ring Coin Holders for 17mm Coins $135.99! 100 Air-Tite "A" Black Ring Coin Holders for 15mm Coins $59.95! 250 Air-Tite "A" Black Ring Coin Holders for 15mm Coins $135.99! 100 Air-Tite "H" Black Ring Coin Holders for 31mm Coins $65.99! 250 Air-Tite "H" Black Ring Coin Holders for 31mm Coins $149.99! 100 Air-Tite "T" Black Ring Coin Holders for 22mm Coins $62.99! 250 Air-Tite "T" Black Ring Coin Holders for 22mm Coins $142.99! 100 Air-Tite "I" Black Ring Coin Holders for 36mm Coins $69.49! 250 Air-Tite "I" Black Ring Coin Holders for 36mm Coins $157.99! 100 Air-Tite "I" Black Ring Coin Holders for 41mm Coins $69.49! 250 Air-Tite "I" Black Ring Coin Holders for 41mm Coins $157.99! 100 Air-Tite "I" Black Ring Coin Holders for 39mm Coins SILVER ROUNDS $69.49! 250 Air-Tite "I" Black Ring Coin Holders for 39mm Coins SILVER ROUNDS $157.99! 100 Air-Tite "H" Black Ring Coin Holders for 28mm Coins $65.99! 250 Air-Tite "H" Black Ring Coin Holders for 28mm Coins $149.99! 100 Air-Tite "H" Black Ring Coin Holders for 29mm Coins $65.99! 250 Air-Tite "H" Black Ring Coin Holders for 29mm Coins $149.99! 100 Air-Tite "H" Black Ring Coin Holders for 27mm Coins $65.99! 250 Air-Tite "H" Black Ring Coin Holders for 27mm Coins $149.99! 100 Air-Tite "I" Black Ring Coin Holders for 34mm Coins $69.49! 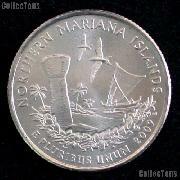 250 Air-Tite "I" Black Ring Coin Holders for 34mm Coins $157.99! 100 Air-Tite "H" Black Ring Coin Holders for 26mm Coins SMALL DOLLARS $65.99! 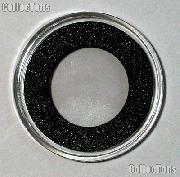 250 Air-Tite "H" Black Ring Coin Holders for 26mm Coins SMALL DOLLARS $149.99!